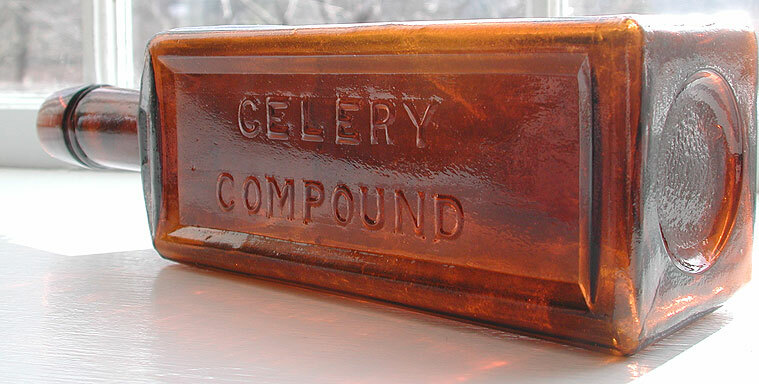 Description: Milton K. Paine was a pharmacist as early as 1840’s in Windsor, Vt., but did not begin bottling the Celery Compound until 1882 (Bill&Betty Wilson). 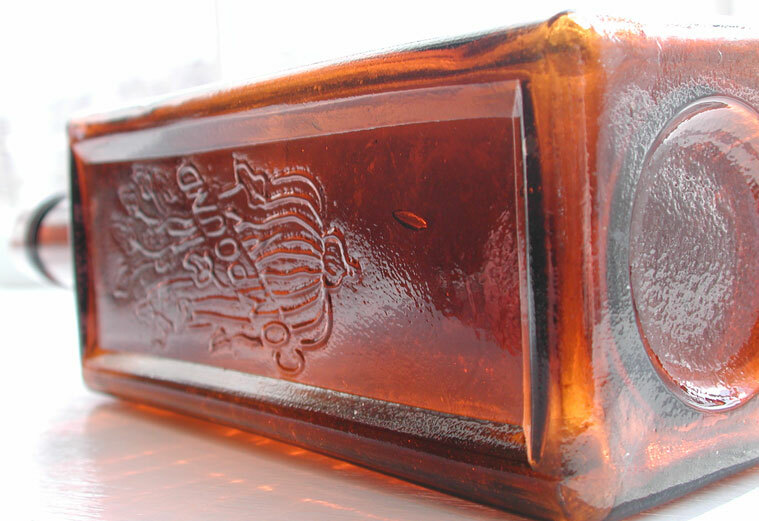 This cabin style medicine is the earliest Celery Medicine and is very scarce. This is an excellent example. Embossed: CELERY / COMPOUND // embossed “Stalk of Celery” with COMPOUND at an angle. Color: Golden–amber, with some yellow tones.